The Human Resources Benefits Specialist 2 is responsible for benefits administration including medical, dental, vision, life, deferred compensation. Researches and resolves employee benefit issues. The Human Resources Benefits Specialist 2 will process employee change of status and coordinate temporary employee staff. They will also assist with interviewing process of candidates as needed. Responds to employee benefits inquiries and issues such as adding or deleting dependents, obtaining missing information, etc. Researches and determines appropriate resolution. Assists interviewing candidates when additional interviewers are needed. Coordinates temporary employee staff, approval process, tracking total days/hours worked. Processes employee terminations by notifying appropriate parties, coordinating with payroll, sending separation paperwork, schedule exit interviews, entering data in system, advising insurance, etc. Provides policy clarification, documents, etc. Assist with updating Human Resources policies as needed. Performs data entry regarding benefits, terminations, temporary employees, etc. Performs compensation analysis monthly relating to employees’ anniversary and the step compensation salary structure. Sends reports and schedule to appropriate parties. Prepares changes of status forms. Sends memo to effected employees. Processes service adjustments including crediting or debiting employee for service time with client or other regional offices. Assists the Accounting Department with reconciliation of insurance premium issues. Answers questions and conducts research to determine appropriate resolutions. Generates ad hoc reports as needed. Leads and/or participates in meetings. Bachelor’s degree (B.A. or B.S.) from a four year College or university; or equivalent combination of education and experience required. 2 years of related experience required. 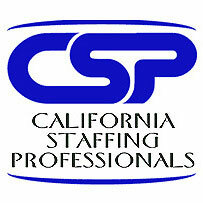 This is a temp to hire position located in the North San Fernando Valley area. The pay rate is $19 to $20 hourly.